As more women play the role of breadwinner in the family, when those marriages end, those women are paying alimony and child support. 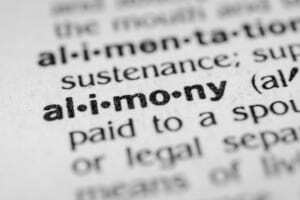 According to a survey conducted by the American Academy of Matrimonial Lawyers (AAML), more than half of the 1,650 attorneys participating in their poll reported seeing an increase in mothers paying alimony and child support. After decades of dealing with a gender wage gap, along with the increasing earning power of some women comes the often-shocking news that they will be expected to pay alimony and child support in their divorce. The trend appears here to stay, too. Marketwatch reports that in 1960, 11% of households with children under age 18 had mothers who were breadwinners. Citing U.S. Census data, the blog, Very Well Family, reports that 31.4% of single fathers who had custody received spousal support in 2016 and 52.3% of mothers did. A Pew Research Center report found that in 2013, more than 40% of households had Mom as the primary provider. Breadwinner moms in the Pew research report are made up of two distinct categories. The first group 5.1 million (37%) are married mothers who have a higher income than their husbands and the second group, 8.6 million are (63%) are single mothers. A surprising key finding from the Pew research is that family income is higher when the mother, not the father, is the primary breadwinner. The Marketwatch story reports the reactions of women upon learning that they were going to have to pay alimony and spousal support in their divorce. One mom said, “The jaw dropped out of my mouth.” when she learned that she was going to be expected to pay spousal support. But just because the information may go against what we consider typical – i.e., the man pays alimony and support – doesn’t mean that you need to be unprepared. You can use SupportPay’s Child Support Calculator to help work through your potential support costs, so that you adjust your budget accordingly. As far as alimony goes, however, that’s subjective – and you’d do well to sit down with one a Knoxville divorce attorney from our firm to go through your finances together. We can help you with planning and strategy to make sure that you get a satisfactory resolution to your divorce. The family law attorneys at the Law Offices of LaFevor & Slaughter can help clients through all stages of life and divorce. Our skilled team has experience in all aspects of family law. We are here to answer all your questions and represent your interests. You are welcome to call us at 865.272.4454 or complete our contact form to schedule a consultation with a Knoxville divorce lawyer today.